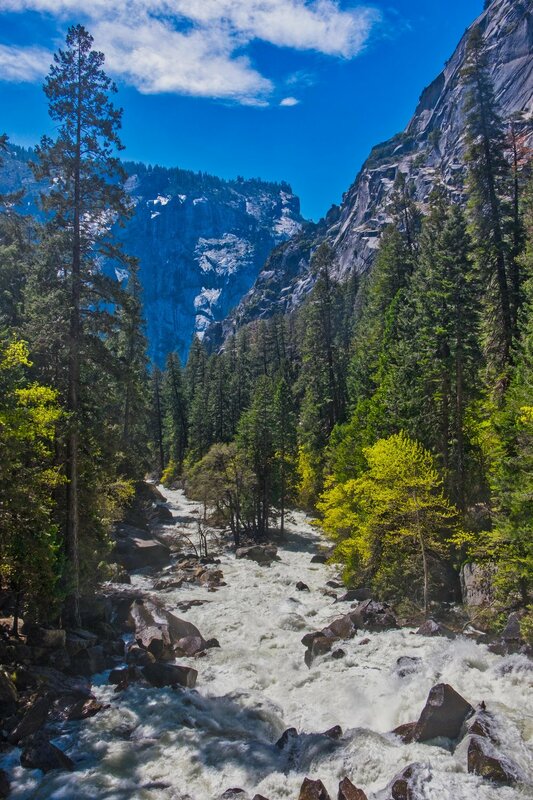 This is taken from a small suspension bridge with the heavy snowmelt overflowing the banks of the King River in the King Canyon National Park. Were were past the end of the road about a mile or so to the bridge. What a stunning view and a roar that make conversation difficult.